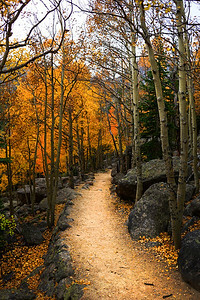 Rocky Mountain National Park is a truly amazing place. We saw two moose, countless elk, lakes, mountains, and aspen trees fading to yellow and orange in the autumn of 2015. Enjoy the photos and leave a comment! 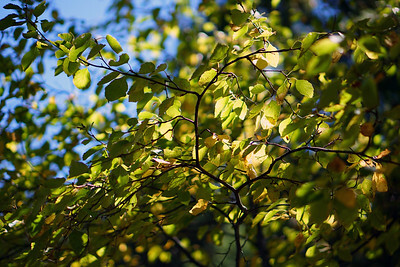 Shallow depth of field photo of light on leaves. 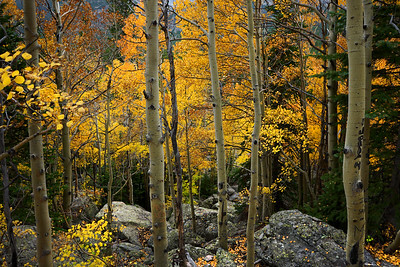 Orange and yellow fall leaves on the thin, rocky, aspen trees in Rocky Mountain, Colorado. 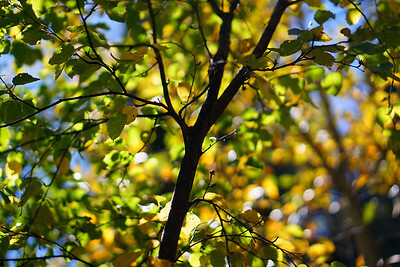 Shallow depth of field photo of a small tree backgrounded by fall colors at Rocky Mountain. 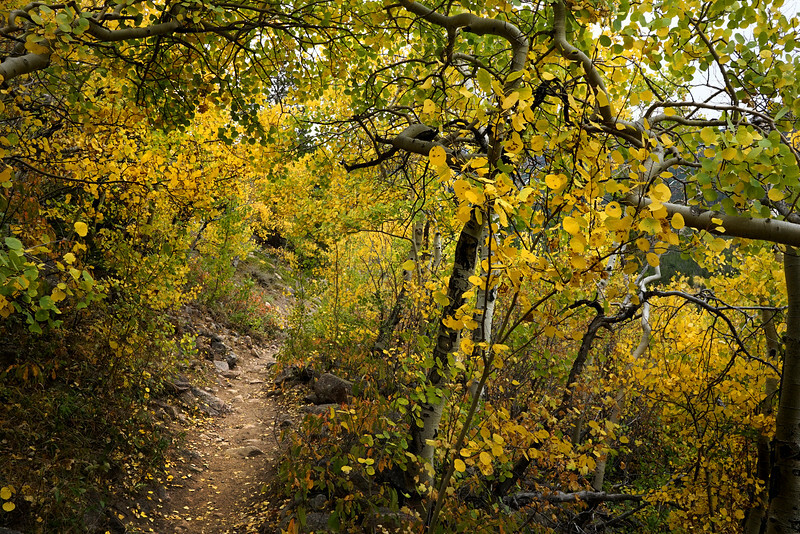 An small hiking path, overgrown with foliage, fading to yellow in the Fall. 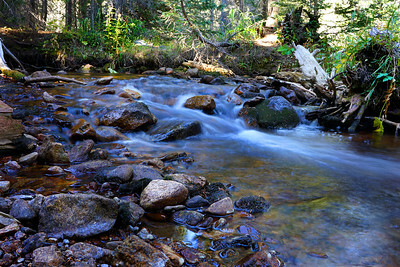 A long exposure of a small brook in the shadows of the Rocky Mountain forest. 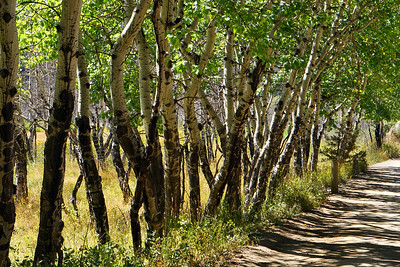 Aspen trees lining the dirt road as we begin our Rocky Mountain hike for the day. 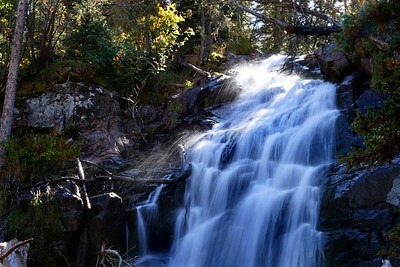 A long exposure of Fern Falls in Rocky Mountain National Park. 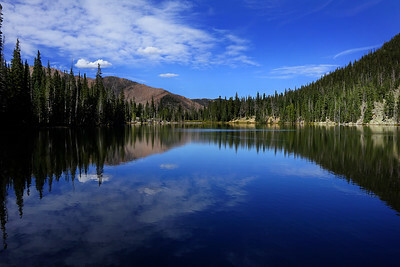 Another amazing day hiking – we made it to Fern Lake at over 8,000 feet, in Rocky Mountain National Park. 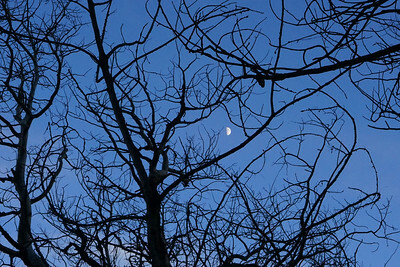 Tree silhouettes after sunset at the end of our Rocky Mountain hike. 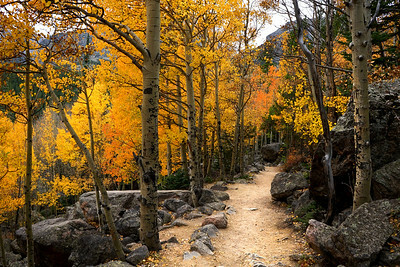 Amazing colors on the Fall aspens surround this Rocky Mountain hiking trail. 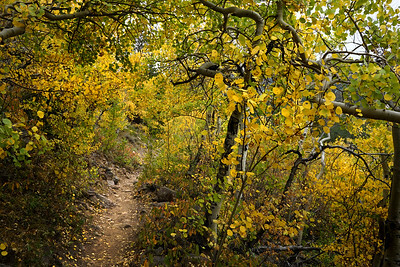 Hiking along the trail we came around the bend to find this amazing little stretch of forest in the Rocky Mountains. 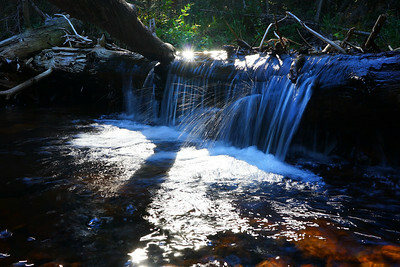 A long exposure of a small patch of brightly lit water on a small creek in Rocky Mountain park. 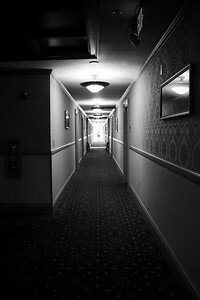 A ghostly photo of a barley visible figure moving into the light at the end of a Stanley Hotel hallway. 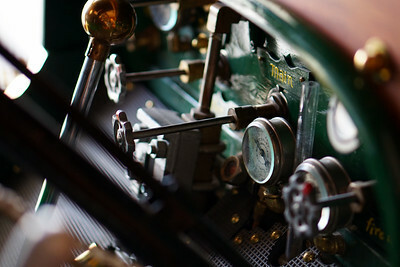 A depth of field photo of the dashboard of the early 1900's Stanley Steamer Car. 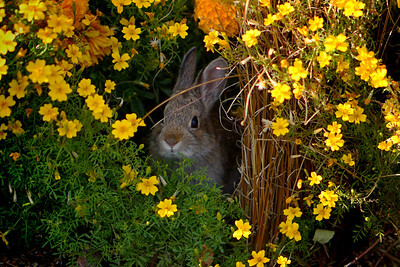 Snapped a closeup of this bunny with my 55mm in the front garden at the Stanley Hotel in Estes Park – Rocky Mountain, Colorado. 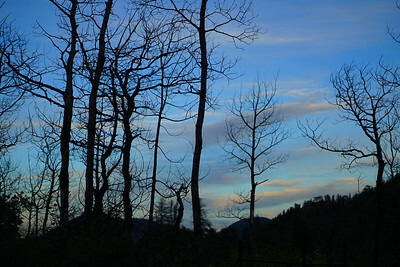 Tree silhouettes standing out against a cloudy sky saturated by the fading light of sunset.